When watching volleyball, attention is often directed to hard spikes. Power, speed, and athleticism are center stage when a player successfully spikes the ball. While there is no doubt this is an exciting aspect of the sport, the two hits before the spike often are more impressive to someone who knows the game well. Every successful spike is made possible a by a carefully orchestrated set. The MSA volleyball team is off to its best start to a season in the school’s history. The team is currently 3-3 and has demonstrated that it will be a contender in the BRC in 2018. This year’s success is much like a powerful spike in a game—it is the result of numerous seasons of setting the team up for success. 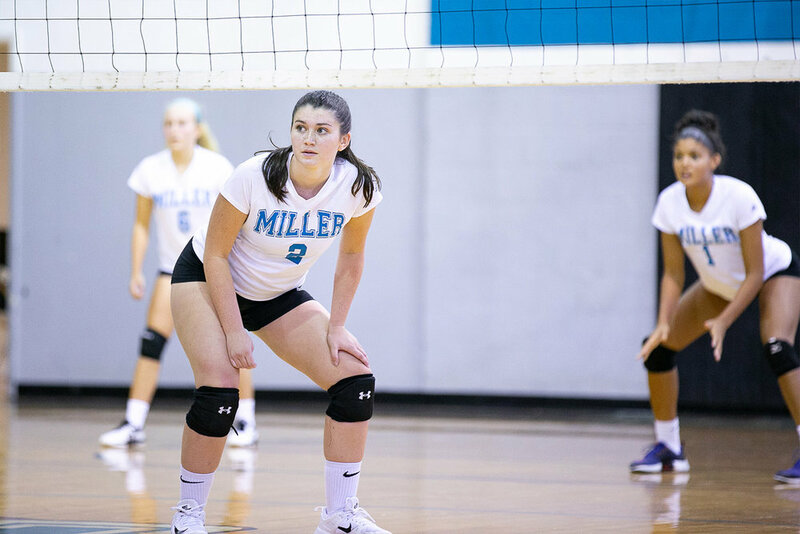 Coached by former professional basketball player, academic All-American, and Math department Chair, Ralf Melis, the girls volleyball team has been steadily improving over the past half decade. Many of the girls work with Mr. Melis in the off season and play on indoor and outdoor volleyball teams year around. This additional experience and practice by returning players has set up the MSA program for success. “Returning players are continuing to show improvement from last year, and each member of the team has made some great volleyball plays on the court already. Statistically speaking the team is led by three players,” commented Mr. Melis. These players combined with new talent has allowed for a well-rounded team. The stats of both new and returning players highlight the successful trajectory of the program. Senior Kianna Johnson, a middle blocker, is second on the team in kills (41), blocks (7), and leads the team in digs (75). Freshman Maddie Kurtz, an opposite hitter, is leading the team in kills (43), aces (27), receiving (50), and she is second on the team in digs (66). Finally, junior Jordan Melis a setter, leads the team in assists (129), blocks (8), and ace percentage (30%). “The team is looking forward to adding a couple more wins, particularly in its conference, so the girls can participate in the conference championship,” commented Mr. Melis. The next home game is October 2nd against VES at 5:30pm.